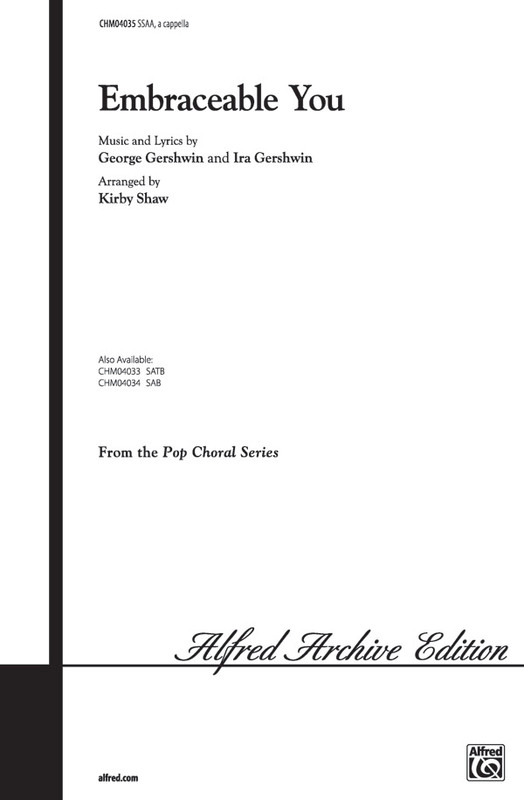 Kirby Shaw's tradition for creating exceptional a cappella ballads continues with this wonderful arrangement of the Gershwin classic "Embraceable You." Showcase your singers with this very special arrangement! The 1978 movie Ice Castles featured a musical score by Marvin Hamlisch and lyrics by Carole Bayer Sager. This wonderful ballad " Through the Eyes of Love " lives on and has been recorded by artists the world over. Kirby Shaw uses his exceptional arranging skill to bring us this very special arrangement. Don't miss this one! Kirby Shaw presents a lush a cappella arrangement of "The Rose" the beautiful song made popular by Bette Midler in the film of the same name. The classic Vincent Youman song " Without a Song" has delighted audiences for decades and has been recorded by artists of every genre. Kirby Shaw has added his superior arranging talent to provide us with a truly wonderful new arrangement.